When I began my earning-money-online-journey, I was using Google Adsense on my websites and kind of depended on that income. I was scared and anxious about being suspended since I heard and read about a lot of people who got suspended out of the blue and without being given a valid reason (generally just “invalid clicks”). Many of those people also depended on their Google Adsense income, so it was quite a sad day for them. So I was thinking about this a lot. Especially how to avoid getting myself in the crosshairs of Google. I read a lot of guides and tips from other Adsense users, and put together a list of actions I would take to run my own Adsense-based business more safely. Since it’s hard to ever get reinstated, or to create a new account, you should try to follow the guidelines in this article as much as possible if you want to stay safe. Today I barely check my Adsense account, not really dependent on it. I mainly use Adsense on websites that doesn’t generate any leads/sales through affiliate marketing. The last few years I haven’t been focusing anything on Adsense – and my income there still increases (slowly). So it works and does not require too much maintenance, which is why it doesn’t hurt to play by the rules. Read, understand and follow Google Adsense Guidelines (seriously – some of them are not that obvious). Do not use ads on websites that are under construction. Google are quite clear on this point. While making your ads blending in is good for CTR, it might get you a lot of accidental clicks. This is not good. So try to keep a good balance. Try to be quiet about Adsense to your friends and family. They might go click your ads, just to be nice. And this will be seen as incitement clicks from Google’s view. Login to your Google Account only from work or home. Avoid public places and networks you’re not in control of or know the owner of. Do not have any copyrighted material on your website. This is obviously not only against Adsense policies but also the law. Be careful about what content you are publishing, and don’t let people you don’t trust publish content without moderation. It cannot contain anything illegal activities, gambling, hacking, weapons and stuff like that. Try to increase your site’s trust by adding a contact form, a phone number and an address. Might be something that Google will give you points for. Do not alter the code that Google generates for you. Don’t have to do with any traffic exchange programs. This will be seen as a really bad traffic source, which I believe Google really dislikes. Never, and I mean never, click your own advertisements. Google will find out by patterns (which you can read more about further down). Make sure your traffic in general is organic and that your visitors find what they are looking for. Too much inorganic traffic will result in high bounce rate, which is bad for your site’s rankings, but might also give Google the heads up that you are not worthy of being an Adsense publisher. 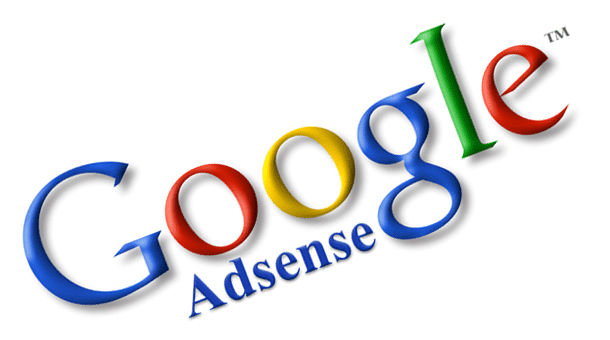 You may use Adwords as a traffic source for your sites using Adsense. But if you put this into system, and make this the whole purpose of a website, Google might kick you out. This is called Google Arbitrage and does not even work very good anymore. Use the setting: show only ads on allowed websites. Then add all your websites in the list (“allowed websites”). That way, people can’t copy your Adsense code into other websites that might not abide by the policies. Some people claim that a high CTR will get you into trouble. While I don’t believe that itself will get your account suspended, it might one factor Google could consider. Generally, CTR over 10-20% is just not natural. Don’t put Adsense in emails or popups. Never publish any information about your Adsense account in public. Mainly because it is against the Google Adsense Policy, but also because there are a lot of really jealous souls out there, that might just want get you suspended. Don’t try to alter your page’s keywords by stuffing high CPC keywords in hidden places. It might make the overall CPC go up, but it might also get you banished. Last thought, which is a bit far-fetched, but still not unlikely: Google might suspend your account even though you’re abiding by all their rules. And they might let you live even though you’re breaking all of them. I think it’s mostly just about how much profit you generate for them. Below are some points that might or might not be used in the algorithm they use to determine invalid clicks. This is obvious. If you click on an ad and then login to your account from the same IP – this is bad. Never click your own ads! Since a lot of the population use internet connections that are based on a dynamic IP adress, Google needs more than just the IP to go on. Cookies is one another factor they use, as all clicks are saved as cookies on your computer. Google is really the biggest online based company. They have so many services that it is easy to forget they all come from the same company. I am not sure about this, but most likely, they use services like Google Search, Google Talk, Google Desktop, Blogger, Google Mail, Google Earth etc to determine someone’s behaviour. Having a extremely high click ratio will definitely get your account flagged and Google will have a manual look. Your MAC-address works like a online fingerprint. Whether this can be used or not, I am not a hundred percent sure of. If your website has visitors from all over the world, but only people from Stockholm clicks on your ad, it will look weird and might be negative for you. If someone is clicking on your Google Ads everyday, but historically has never clicked on any website’s ads before, it will look fishy. If lets say a visitor comes to your website by entering the domain name in the address field, and then immediately clicks on your ads, that will also look very fishy. How many pages and how long has the visitor been on your site before clicking on the ads? It’s quite possible that time spent on site before ad click, will matter in Google’s eyes. This is not something that I would be sure of, but it’s quite possible that Google really prefers clicks from organic search & social media traffic. Never encourage (or even mention) your visitors to click on your ads. That is the fastest way to get your account suspended. What really determine’s a Google publisher’s worth, must after all be how the publisher converts, right? If you have hundred of thousands of click and none of which generated any value to the advertiser, there is no point in letting you advertise. Obviously, all these factors can be circumstantial, and Google knows about this. But if you feel like many of these match with your situation – it’s time to take a look at your Adsense setup. Online Entrepreneur. Focusing on health optimization, traveling the world, building businesses. Staying close to the sea. Writing here to inspire. Mostly myself, but hopefully others too. Last week i have applied for Google adsense and it was rejected ! Some similar websites got adsense like technodify and maktechblog then why they rejected me ? …?. I don’t know why? i have followed all the guidelines but it was rejected ! I have 400 + posts and 3000 daily traffic from Google Search !They told me that Policy not matched ! Can u suggest me any advice ? Frankly my advice to you Saif would be to ignore Adsense. They are not a very reliable income. I’m sure you can make more money through affiliate programs! Sign up for the coming passive income (learn affiliate marketing) course. Yes, it’s free. Read more here.